High intelligence might halt the development of schizophrenia, especially in genetically predisposed people, according to a large-scale study contradicting earlier, more conventional beliefs that braininess may increase risk of this disorder. 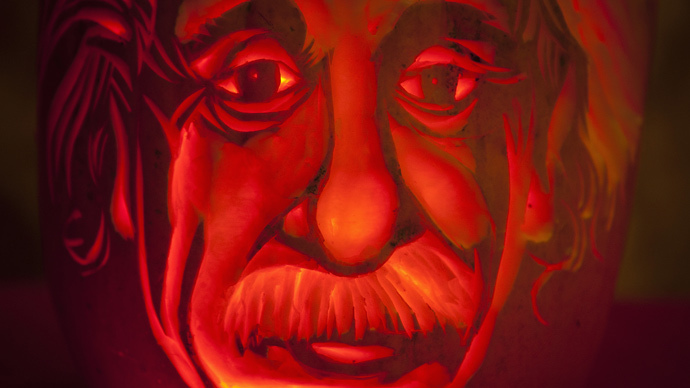 A team of US and Swedish scientists has recently established that intelligence quotient, or IQ, is an important “moderator” in the development of schizophrenia, but the link actually works the opposite way. “If you’re really smart, your genes for schizophrenia don’t have much of a chance of acting,”said first author Kenneth S. Kendler, professor of psychiatry and human and molecular genetics at Virginia Commonwealth University. More than 1.2 million Swedish males born between 1951 and 1975 and registered in the Military Conscription Register participated in the study that assessed their IQ at ages from 18 to 20, in late adolescence, and tracked the history of schizophrenia-related hospitalization until 2010. 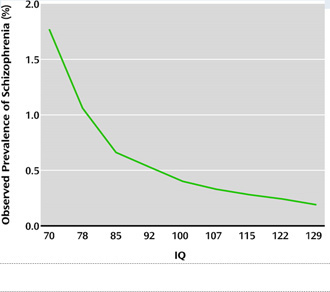 It turns out, low IQ is among other factors – like fetal experience, childhood trauma or early drug use – contributing to the development of the mental illness, although there is a huge variation in the intelligence scores of people with schizophrenia. 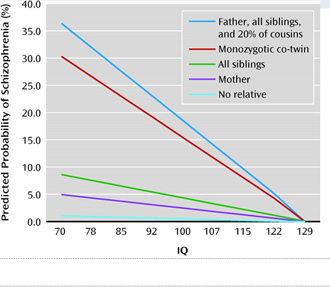 The study, dubbed “IQ and schizophrenia in a Swedish national sample: Their causal relationship and the interaction of IQ with genetic risk”, is said to be the largest study of the relationship between IQ and schizophrenia to date. It has been published recently in the American Journal of Psychiatry. Schizophrenia is a mental disorder that often manifests itself with poor social interaction and loss of motivation and initiative. In extreme cases psychosis, a state of losing contact with reality, flooded with hallucinations, paranoia and delusions occur. Treatment may help some people recover from the illness, although others may be affected for years, demonstrating unusual or bizarre behavior. In the US 2.4 million adults and almost a quarter of a million Australians suffer from this severe mental disorder, which occurs in about one in 100 people worldwide.